If you’re experiencing pain between your shoulder blades, you no doubt know just how inconvenient and unpleasant that sensation can be. It can prevent you from performing the physical tasks you normally would limit your ability to work and play with your kids and even have a profoundly negative effect on your mood in the long term. It can be easy to chalk this pain up to the common issue of minor back strain and pop a few over the counter anti-inflammatory tablets when it gets too bad, but the truth of the matter is that pain between the shoulder blades can actually be far more serious. These are serious, life-threatening disorders. 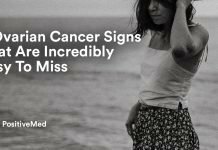 Like all cancers, the longer these three diseases progress without treatment, the worse the long-term prognosis becomes. This is why it’s critical not to ignore pain between your shoulder blades. 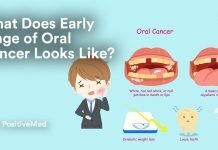 Let’s take a closer look at these three serious illnesses, their risk factors and their other symptoms. One of the most prevalent cancers seen and treated by physicians, lung cancer happens when a mass of cancerous cells grows in or metastasizes to the lungs. If you’re experiencing pain between your shoulder blades in conjunction with any of the risk factors and symptoms presented here, it’s best to make an appointment with your doctor to be evaluated as soon as you can. Your doctor will be able to advise you on how to proceed in the event of a cancer diagnosis. 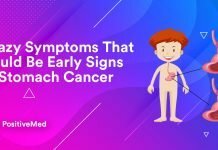 Waiting is never the answer if cancer is suspected, as once any of these cancers advance to their fourth state, a terminal diagnosis is likely. 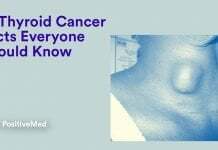 If you suspect you may have cancer, seek medical intervention as soon as possible. If you’re fortunate enough to have a clean bill of health aside from the aching between your shoulder blades, natural remedies such as gentle stretching and a diet rich in naturally anti-inflammatory foods is key to offering relief. Foods such as dark greens, almonds, lean protein are helpful, while refined carbohydrates, saturated fats and sugars should be avoided. Upper back pain is often caused by poor posture, so try sitting up straight, standing up straight and sleeping on your side with your knees drawn up to your chest to aid in providing long term relief. Not all upper back pain is related to cancer, but the correlations are significant enough that they should not be ignored. Visit your doctor to rule out any abnormalities, and once you have, proceed with a healthy diet, light stretching and ergonomically sound body positioning in order to get rid of unpleasant upper back pain once and for all.